The due process hearing in this case convened on November 5, 6, 7, 8 and 9, 2012, before Administrative Law Judge (ALJ) Paul H. Kamoroff, from the Office of Administrative Hearings (OAH), State of California, in Redlands, California. David M. Grey, Attorney at Law, represented Student at the due process hearing. Student’s mother (Mother) and father (Father) attended each day of the hearing. Student was not present during the hearing. Vivian E. Billups, Attorney at Law, represented the Redlands Unified School District (District). Laura Chism, a program manager for the East Valley Special Education Local Plan Area (SELPA), attended all hearing days. Dr. Patrick Smith, Director of Special Education for the District, was present for parts of the hearing. On June 8, 2012, Student filed a Request for Due Process Hearing and Mediation, naming the District as the respondent. On July 11, 2012, OAH issued an order resetting the timelines for this matter. On August 27, 2012, Student and the District jointly requested to continue the due process hearing, which was granted. At hearing, the ALJ received oral and documentary evidence. The following witnesses testified: Roxanne Hornal, Dr. Keith Wolgemuth, Laura Chism, Mary Hernandez, Patricia Tate, Jacqueline Solorzano, Mother, LaVonne Newmann, Amy McCormick, Cassandra Steinbrunn, and Father. At the request of the parties, the record remained open for the submission of written closing arguments. The parties filed their closing briefs on November 29, 2012. The matter was submitted on November 29, 2012. 1) Whether the District denied Student a free appropriate public education (FAPE) by failing to consider, develop and use Student’s preferred mode of communication in Student’s May 21, 2012, individualized education program (IEP). 1 Student’s issue two is separated into two parts for clarification. Student seeks reimbursement for the cost of nonpublic school placement and other costs, compensatory education and services, and orders compelling the District (1) to convene an IEP meeting to draft appropriate goals for all areas of need, (2) to place Student in an appropriate school program, (3) to provide appropriate costs for transportation, and (4) to produce documents. Student is hard-of-hearing. She has a cochlear implant in each ear which has worked remarkably well, so that Student only has minor hearing and speech delays. The District held an IEP meeting on May 21, 2012, relating to Student’s preschool program for the 2012-2013 school year. At this meeting, Mother requested that the District provide a regular education preschool classroom for Student. The District offered Student a placement in the Redlands Special Education Early Development preschool classroom (RSEED). Student contends that the District denied her a FAPE by failing to offer a program which utilized Student’s preferred mode of communication of oral language, by failing to offer appropriate goals, services and accommodations, and by offering a placement which was too restrictive. Student contends that, as a hard-of-hearing pupil, California statutes guarantee that her special education program provides instruction in her preferred mode of communication, with appropriate peer models and in the least restrictive environment. Student further contends that placement in a regular education classroom with typically developing peers is the sole placement that meets this standard for Student. In response, the District points to the excellent progress that Student has made in RSEED, which she attended from December 2011 through June 2012. The District also points out that RSEED utilizes oral language as its primary mode of communication. The District disagrees that Student’s IEP team failed to develop appropriate goals, services and accommodations. Finally, the District agrees that Student should be educated in a regular education classroom with her typically developing peers. In this vein, the District asserts that RSEED is a regular education classroom. Based upon the following Findings of Fact and Conclusions of Law, this Decision determines that the District did not commit procedural violations of special education law as regards the preferred mode of communication of Student and the development of her IEP goals, services, and accommodations. Finally, the Decision determines that RSEED is not the least restrictive environment for Student, which created a substantive FAPE denial. 1. The Student in this matter is a four-years-and-four-month-old female who currently is a preschool pupil at a Montessori private school (Montessori). Student qualifies for special education as a pupil who is hard-of-hearing. Student resides with her family in a home that is within the confines of the District. Student’s family has a history of hearing impairment and her maternal great grandparents were each hard-of-hearing and communicated through the use of sign language. 2. Student was born with congenital, profound hearing loss in both ears. At the age of 2 months, Student received hearing aids. A hearing aid is an electronic device that brings amplified sound to the ear and consists of a microphone, amplifier and receiver. At the age of three months, Student started receiving auditory-verbal therapy from Patricia Tate, a certified Auditory-Verbal Therapist. Auditory-verbal therapy (AVT) is a methodology that teaches a hearing-impaired child how to use a hearing aid or cochlear implant to understand speech and learn to talk. The principles of AVT stress the acquisition of spoken language, full mainstreaming into the regular education system, and parental involvement in helping the child to listen and speak. Ms. Tate provided AVT to Student until she turned three years of age, first as an employee of the San Bernardino County Schools, then as an employee of the District’s early start program. Following Student’s third birthday, Ms. Tate provided her deaf and hard-of hearing (DHH) consultative services, as a licensed non-public agency and funded by the District. 3. In September 2009, at the age of 13 months, Student underwent surgery for a cochlear implant on her right ear. In April 2010, she received her second cochlear implant on her left ear. A cochlear implant is a medical device designed to assist individuals with severe to profound hearing loss to interpret speech and sounds. A cochlear implant has external and internal components. The external components include a microphone, a speech processor and a transmitting coil. The internal components include a receiver/stimulator that is located directly under the skin and an array of electrodes, implanted in the cochlea, that emit electrical charges to stimulate the auditory nerve fibers. 4. At the age of two years, Student began receiving speech services from the Truesdail Center for Communicative Disorders at the University of Redlands (Truesdail), in the aural rehabilitation clinic. The speech services were provided under the supervision of Dr. Keith Wolgemuth, who is an audiologist, speech pathologist, and associate professor in communicative disorders at the University of Redlands. Truesdail has provided Student speech therapy for an hour per week since Student first began receiving services from Truesdail, which has been funded independent of the District. 5. Since receiving the cochlear implant, Student has made remarkable progress in her abilities relating to receptive and expressive communication. A year after the second implant surgery, the District conducted an evaluation which showed that Student’s expressive language level was nine months behind her chronological age, and advanced in regards to her hearing age. In May 2011, Ms. Tate recorded Student’s receptive communication abilities to be four months behind her chronological age. 6. Student is an oral-deaf person. Her chosen mode of communication is spoken English. She does not use sign language and she is not adept at reading lips. Rather, Student has been raised, and educated, using solely oral language. 7. Student has certain unique needs caused by her hearing impairment. She can experience difficulty in areas of speech articulation, and will sometimes substitute or omit certain consonants. She also has difficulty hearing a speaker when there is background noise. 8. Student first began receiving special education from the District when she turned three years of age, which was during the 2011-2012 school year. Almost immediately upon Student entering the District, a dispute arose between Parents and the District which resulted in a Settlement Agreement dated October 26, 2011 (Agreement). As a result of the Agreement, in December 2011, Student began attending the District’s RSEED program, which was taught at Lugonia Elementary School by Roxanne Hornal. 9. Student attended RSEED through the end of the 2011-2012 school year. This class consisted of 14 students, one teacher, and three aides. All 14 students in the RSEED class had IEP’s; seven were eligible under some form of intellectual disability (ID), including at least two students who had Down’s Syndrome. The remaining seven students included Student, a student with a visual impairment, and the remaining pupils were IEP eligible due to a speech and language impairment (SLI). The District assisted Student with a personal FM system, which has two main parts: a microphone for the person speaking (usually the teacher) and a receiver that delivers the voice signal to the hearing aid or cochlear implant of the pupil. 10. Student attended RSEED Monday through Friday, from 8:00 a.m. to 10:45 a.m. The District provided weekly, group speech therapy by a speech and language pathologist (SLP), and weekly, occupational therapy, by a registered occupational therapist (OTR), to all students in the RSEED class. The District provided Student an additional 30 minutes of small group speech therapy every week. In addition to these services, Student continued to receive 60 minutes of speech therapy from Truesdail every week, and an hour, weekly of AVT services from Jacqueline Solorzano, funded independently from the District. 11. Student progressed remarkably well during the 2011-2012 school year. She performed at or above her chronological age level on academic tasks. She was cooperative and participated during class. Other than exhibiting some areas of articulation delay, Student was not manifesting any area of deficit by the end of the 2011-2012 school year. 12. On May 21, 2012, at the close of the 2011-2012 school year, the District held an annual IEP meeting for Student. The purpose of the meeting was to establish Student’s special education program for the 2012-2013 school year, which was preschool for Student. The following people attended the IEP meeting: Mother; Father; Cassandra Steinbrunn, who served as Student’s case carrier and represented the District as an Administrator Designee; Patricia Tate; LaVonne Newmann, who is the District’s SLP; Roxanne Hornal; and, Jacqueline Solorzano. 13. The team reviewed Student’s present levels of performance and progress pertaining to her previous goals, all which were in the area of speech. Student achieved three goals and partially achieved one prior goal. The IEP team developed four new goals. Two goals addressed specific areas of articulation deficit in regards to correctly producing various consonant sounds. One goal addressed Student’s self-advocacy in utilizing the FM system. The fourth goal addressed Student’s language in regards to the use of pronouns. b) DHH Itinerant Consultation, at 30 minutes, one time monthly. 15. In addition, the May 21, 2012 IEP included accommodations designed to assist Student in the classroom. These accommodations included the following: (1) carryover materials as needed; (2) consultation and collaboration with the SLP; and (3) support from special services. The team also offered Student assistive technology, including the FM system. 16. Finally, the May 21, 2012 IEP offered Student continued participation in the RSEED classroom. Parents voiced their dissent to the placement offer and requested that the District instead provide Student placement in a private, regular education preschool. The District declined to discuss private school options for Student, and Parents did not sign their consent to the IEP. 17. On June 8, 2012, Parents, through counsel, filed a Complaint and Request for Mediation (Complaint) with OAH, and properly served a copy of the Complaint on the District. The Complaint outlined Student’s dissent to the May 21, 2012 IEP, and Student’s intent to seek reimbursement for private school placement based upon a FAPE denial. 18. On June 13, 2012, Laura Chism, Due Process Program Manager for the East Valley SELPA, filed with OAH a Notice of Representation for the District, and properly served a copy of this notice on Student’s counsel. 19. On June 15, 2012, Student’s counsel sent an email to Ms. Chism wherein he reiterated Student’s disagreement with the District’s placement offer, and Student’s intent to seek reimbursement from the District for private school placement, and related costs. 20. On June 19, 2012, Ms. Chism responded by email to Student’s counsel, wherein she indicated an understanding of Student’s position and proposed remedies. 21. Roxanne Hornal testified on behalf of the District during the hearing. Ms. Hornal is a credentialed special education teacher. She received a bachelor of arts in general courses from the San Bernardino Valley College in 1999, and a master’s of arts in special education from the California State University, San Bernardino in 2003. Ms. Hornal has been employed by the District for the past eight years as a preschool special education teacher. 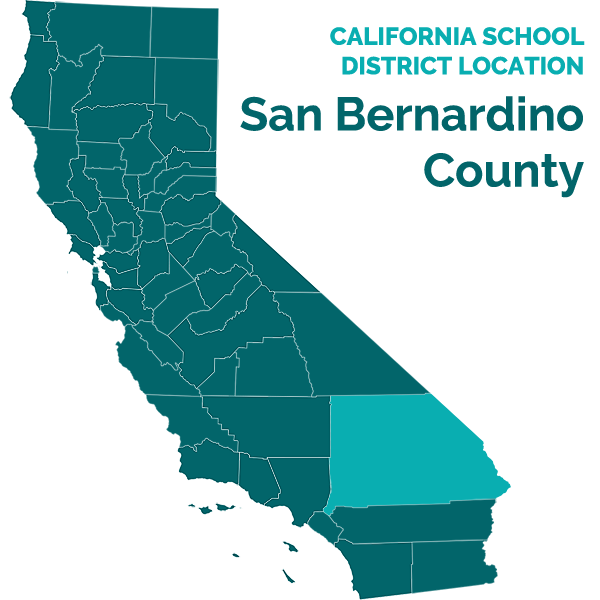 Prior to working for the District, she was employed for five years by San Bernardino County Schools as a preschool special education teacher. Ms. Hornal is not credentialed to teach classes that are solely for deaf and hard-of-hearing pupils. Ms. Hornal’s present job title is preschool special education teacher. 22. Ms. Hornal taught the RSEED class at Lugonia Elementary School during the 2011-2012 school year. She is very familiar with Student, having directly taught her from December 2011 through June 2012. She teaches the same RSEED class presently, during the 2012-2013 school year. This is the same placement which the District offered to Student in the May 21, 2012 IEP. 23. The pupils who attend RSEED range from three to four years of age. Accordingly, some pupils who attended the RSEED class for the 2011-2012 school year have aged out of the program and are now attending various kindergarten programs. These pupils have been replaced with incoming students. Otherwise, the RSEED class Ms. Hornal taught during Student’s attendance from December 2011 through June 2012 is almost identical to the RSEED class that the District offered Student for the 2012-2013 school year. 24. RSEED is a special education preschool class and is set up accordingly. In addition to Ms. Hornal, there are three full time adult aides in the classroom. During both the 2011-2012 and the 2012-2013 school years, there were 14 students in the RSEED class. The classroom is divided into four centers for small group work, with an adult at each center, with various activities located at each center. For example, one center uses the multisensory approach in Handwriting Without Tears to work on pupils’ writing and fine motor skills. In addition, RSEED had, as an imbedded service for all of its students, an OTR and a SLP who visited and provided services to the class each week. In addition to the related services included in their respective IEPs, each student also received weekly occupational therapy (OT) and weekly, group speech and language (sometimes S/L) therapy, as part of RSEED. 25. During the 2011-2012 school year, one pupil was exited from her IEP towards the end of the school year, but was permitted by the District to remain in RSEED for the remainder of the school year. Other than this sole pupil, every student who attended RSEED during the 2011-2012 school year had an IEP. All 14 pupils who attended RSEED during the 2012-2013 school year also had an IEP. 2 All of the SLI students described by Ms. Hornal did have articulation difficulties. However, during the 2011-2012 school year, two of these students were eligible under a different handicapping category than SLI. One student, who was blind, was eligible under vision impairment, and Student was eligible for special education and related services as hearing impaired. 26. Ms. Hornal described that the areas of IEP eligibility of pupils who attended RSEED were intentionally distinct and specific. Seven students had cognitive impairments and/or severe developmental delays. Seven students had articulation difficulties. She described that each pupil with an articulation delay qualified for an IEP under the eligibility category of SLI. 2 The purpose of this distinct make-up of students was for the more severe IEP students to benefit from the lesser severe IEP students. Ms. Hornal described that the SLI students were utilized as peer models for their more severely impacted classmates. 27. Ms. Hornal described Student as a delightful, bright and outgoing pupil who enjoyed helping the teacher, aides, and her peers. She participated in every facet of Ms. Hornal’s class and was often used as a role-model for her peers. She progressed quickly on her IEP goals and performed well in all aspects of this class, including academic and nonacademic tasks. Ms. Hornal described that, due to its high adult-to-student ratio, RSEED was able to provide materials and curriculum at each pupils’ ability level. Student easily accomplished assignments which were on par with her chronological age and which were identical to the curriculum being utilized in regular education preschools. 28. Ms. Hornal utilized oral communication in the RSEED class. While she has, on occasion, taught RSEED pupils American Sign Language (sometimes ASL) hand-signs for various alphabet letters, this is part of a regular education preschool curriculum and not part of a communication modality taught in RSEED. Student was the only pupil who attended RSEED who was deaf and/or hard-of-hearing. 29. Ms. Hornal recalled that, other than the FM receiver which Student sometimes wore, Student appeared in every way to be a typically developing student. Ms. Hornal believes that, as of the May 21, 2012 IEP meeting, Student possessed the academic and nonacademic skills necessary to be fully mainstreamed with her typically developing peers. 30. Ms. Hornal presented as a caring and competent special educator who provided helpful and reliable testimony. 3 Chapter 308, Statutes of 2008 Assembly Bill 2759, created the California State Preschool program. This program consolidated the funding for State Preschool, Prekindergarten and Family Literacy, and General Child Care center-based programs serving eligible three-and four-year-old children to create the California State Preschool Program. The program provides both part-day and full-day preschool services, along with meals to children, parent education, and referrals to health and social services for families. When a school district does not have regular education preschools, such as the District, children who are age three are eligible for the State Preschool Program if the family’s adjusted income does not exceed the income ceilings established by the State Department of Education. 31. The District does not have regular education preschools. However, Lugonia Elementary School houses a state preschool classroom, which is located next to the RSEED classroom. 3 This class was taught by Amy McCormick during the 2011-2012 and 2012-2013 school years. Ms. McCormick testified as a witness for the District. 32. Ms. McCormick is a certified child development specialist who has taught the state preschool class since 2001. She described her class as a regular education classroom consisting of 24 pupils, herself, and one aide. She described that her class utilizes traditional, regular education preschool curriculum and materials. However, it is not uncommon for the state preschool to have IEP students, and her class had two IEP eligible students during the 2011-2012 school year. One student was IEP eligible under autism and the other as SLI. Both IEP students were able to receive related services on a pull-out basis while attending the state preschool. However, the state preschool does not have access to the OTR and SLP or the weekly S/L and OT services which are imbedded in RSEED. 33. Ms. McCormick’s regular education preschool class shared a common area with RSEED during a daily morning break and a lunch recess. During recess and breaks, pupils from the state preschool would interact with the RSEED students. Ms. McCormick was often assigned to supervise both classes during lunch recess. The two classes were also combined for special occasions such as holiday presentations. Also, on occasion, various pupils from RSEED would join the state preschool class for story-time. Student was one of these pupils. Based upon Student’s occasional visit to Ms. McCormick’s class, along with her frequent observations of Student during lunch, Ms. McCormick is familiar with Student. 34. While in her classroom, Ms. McCormick observed Student participating with typically developing peers, raising her hand at appropriate times to ask questions regarding a story which had just been read aloud and, overall, acting and behaving as a typical student. Ms. McCormick commented that she believed Student’s conduct was more advanced than many of the typically developing pupils who attended the state preschool. Ms. McCormick described similar conduct during lunch recess, where she observed Student playing with other students, initiating conversation with peers and adults, and acting at all times in an age appropriate manner. 35. Although Ms. McCormick has never assessed Student, she described her review of Student’s Desired Results Developmental Profile (DRDP). The DRDP is used to observe, assess, and report on the development of preschool age children. The DRDP is generally used to assess preschool students with IEP’s. Ms. McCormick commented that Student’s results on the DRDP exceeded the results of many of her typically developing peers who attended the state preschool. 36. Given her observations of Student, Ms. McCormick shared Ms. Hornal’s opinion that Student would be appropriately placed in a regular education preschool class for the 2012-2013 school year. 4 California uses the term “assessment” in lieu of “evaluation.” The terms mean the same and are often interchanged within special education. 37. On May 17, 2011, the District conducted a speech and language assessment for Student. 4 The assessment was conducted by Sue Stuedemann, M.A. CCC-SLP, who is a licensed SLP. The District’s assessment included a review of records, observations, parent interview, and a variety of standardized tests which assessed Student’s speech development, oral motor skills, voice fluency, hearing, auditory comprehension, expressive communication, and expressive vocabulary. 38. The District’s assessment found no delays in any area other than hearing and speech. Speech delays are characterized by articulation deficits, while language delays are generally characterized by communication deficits. By all accounts, Student does not have a language delay. Each witness who was familiar with Student testified, and the District’s assessment corroborated, that Student utilized verbal communication, both expressively and receptively, in a manner that was commensurate with her typically developing peers. Rather, the District’s assessment identified articulation errors, all which related to Student’s difficulties producing various consonant sounds. Pursuant to this finding of articulation delays, the District’s assessor found that Student was eligible for speech and language therapy as a related service. 39. Based upon this assessment, the District offered Student 30 minutes per week of LSH therapy in her initial IEP of June 2, 2011. In December 2011, pursuant to the Agreement, the District began providing LSH as a related service to Student when she began attending RSEED. The LSH services were provided to Student on a pull-out basis, by the District’s SLP, LaVonne Newmann. 40. LaVonne Newmann testified on behalf of the District. She has been a SLP for the District since 2003, where she has provided speech and language assessments and services almost exclusively to pupils aged three-to-five years old. Ms. Newmann earned a bachelor of science in communicative disorders from the University of Redlands in 1978, and a master’s of science in communicative disorders from the University of Redlands in 1979. Prior to working for the District, she worked as a special education teacher for the Newport-Mesa Unified School District and an SLP for the Corona-Norco Unified School District. Ms. Newmann first met Student in December 2011, and was Student’s LSH therapist while Student attended RSEED, through June 2012. 41. . Newmann attended the May 21, 2012 IEP meeting. She was an active participant during the meeting and was directly responsible for reviewing Student’s past speech goals, where she explained that Student had met three of four annul IEP goals, and had made significant progress towards the fourth goal. Ms. Newmann described this progress as remarkable given that the IEP goals stemmed from Student’s initial IEP of June 2, 2011; yet she didn’t begin working on these goals until December 2011. Ms. Newmann discussed Student’s present levels of performance and assisted the IEP team to formulate new IEP goals, which included two new goals in the area of articulation. She also assisted the IEP team in formulating its offer of LSH services for the 2012-2013 school year. 42. Ms. Newmann described Student as a pleasant, outgoing and very social little girl who got along well with her teachers and peers. She described that Student did not appear to be disabled in any way, other than manifesting a mild articulation deficit. Ms. Newmann described that when a pupil is eligible for an IEP solely due to an articulation delay, that pupil will lose their IEP eligibility when he/she achieves 80 percent speech intelligibility. Ms. Newmann described that Student’s speech intelligibility was at the 70 percent level. 43. Ms. Newmann believes that Student would progress rapidly in a regular education classroom. In particular, Ms. Newmann described that she was familiar with the Montessori school, and believed a regular education placement such as Montessori would constitute an appropriate placement for Student. 44. Ms. Newmann provided credible testimony as regards to Student’s speech and language abilities. 45. Following the May 21, 2012 IEP, Parents unilaterally placed Student at the Montessori school. Student began attending Montessori in August 2012 and continued to be placed there through the present date. Montessori utilized an educational approach characterized by an emphasis on pupil choice of activity from within a prescribed range of options, uninterrupted blocks of work time, and a constructivist model, where students learn concepts from working with materials. The Montessori class Student attended is a private, regular education preschool, and consisted of 24 students, one teacher and one aide. Student’s teacher, Mary Hernandez, testified on behalf of Student. 46. Ms. Hernandez has been a regular education preschool teacher at Montessori for six years. She described the pupils in her class as typically developing, with the exception of one pupil, who had Asperger’s Disorder. Montessori conducts its own special education referral and assessment process, and is able to deliver special education related services, when necessary, to meet the needs of its student population. 47. Student does not receive any special education services at Montessori. Montessori did not provide Student LSH or DHH services. Ms. Hernandez described that she has not referred Student for Montessori based special education assessment or services because she has not observed any disability or conduct manifested by Student which would warrant such intervention. 48. Ms. Hernandez described Student as bright, social and well-liked by peers, teachers and staff. She participated in class and often assisted younger students. Ms. Hernandez observed Student progress in areas of geometric shapes, geography and maps, and colors. Student appropriately initiated conversations and responded to questions posited by the teacher. Student enjoyed school and acclimated well to Ms. Hernandez’s regular education preschool class. 49. Ms. Hernandez presented as a reliable witness to Student’s abilities when being educated with typically developing peers. 50. Dr. Keith Wolgemuth testified as an expert witness on behalf of Student. Dr. Wolgemuth earned a bachelor of arts in sociology from Salisbury State University, a master’s of arts in speech and language pathology from Memphis State University, and a Doctor of Philosophy in audiology and speech-language pathology, from the University of Memphis School of Audiology. Dr. Wolgemuth has been an associate professor in communicative disorders at the University of Redlands since 2005. He initiated an aural rehabilitation clinic at Truesdail, located at the University of Redlands, for graduate students where auditory and speech and language therapies are provided to children with hearing loss. 51. Wolgemuth met Student two years ago, when she began receiving speech therapy at Truesdail. The Truesdail speech services were provided either directly by, or under the supervision, of Dr. Wolgemuth. He has also conducted or supervised several observations of Student outside of the Truesdail clinic, including an observation of Student in RSEED, and has recorded these observations in various progress reports. Dr. Wolgemuth has also reviewed Student’s school records and IEP’s. Although he has not attended an IEP meeting for Student, he has attended many IEP meetings on behalf of hard-of-hearing pupils, including IEP’s convened by the District. 52. Dr. Wolgemuth described that Student has made exemplary progress since receiving her cochlear implants. Student is a positive example of the unique benefits that can be achieved through the proper implementation, and acclimation, of a cochlear implant. He also described that Student progressed significantly during the 2011-2012 school year. In a report dated May 11, 2012, which included an observation of Student at RSEED, Dr. Wolgemuth described that Student was able to produce three to five word utterances spontaneously; she was talking more, was able to follow two step directions, and was observed to have numerous spontaneous speech productions with adults and engaged in play with other children. Student was cooperative and participated during class. Dr. Wolgemuth found that Student had made significant progress in the area of language and had made some progress in the area of articulation. Other than exhibiting some areas of articulation delay, Student was not manifesting any area of deficit by the end of the 2011-2012 school year. 53. Based upon his May 11, 2012 report, Dr. Wolgemuth was able to review and provide insight as regards to Student’s May 21, 2012 IEP. He reviewed the IEP goals, and affirmed the appropriateness of each goal as it related to Student’s unique needs. He concurred with the IEP team’s assessment of Student’s present levels of performance, and found the IEP accommodations and comments to be congruent with Student’s needs. Dr. Wolgemuth reviewed the LSH and DHH related services included in the May 2012 IEP, and described the IEP’s related services as sufficient in meeting Student’s individual needs. Dr. Wolgemuth is familiar with RSEED, and described that RSEED utilizes oral communication, not ASL. However, Dr. Wolgemuth complained that RSEED was not an appropriate placement offer, given Student’s unique needs as of the May 21, 2012 IEP. 54. Dr. Wolgemuth described the importance of Student receiving typically developing role models in regard to speech abilities. In this regard, he described that the RSEED class was far too restrictive for Student, given its make-up of half cognitively delayed students and half speech and language impaired pupils. Rather, he described that Student required full mainstreaming in a regular education preschool where she could learn from her typical peers and model age-appropriate speech. 55. Dr. Wolgemuth is a highly qualified expert witness who provided reliable and persuasive testimony. 56. Student’s present AVT provider, Jacqueline Solorzano, testified as an expert witness on behalf of Student. Student’s prior AVT provider, Patricia Tate, testified as a witness on behalf of the District. 57. Student’s expert, Jacqueline Solorzano, has been an auditory verbal therapist since 2005. As described previously, AVT is designed to teach a hearing impaired child to use hearing provided by a hearing aid or cochlear implant for understanding speech and learning to talk. Ms. Solorzano received a bachelor of science in child development from California State University, Fullerton in 1999, and a master’s of science in education from the University of Southern California in 2000. She was an oral teacher to DHH students from 2000 to 2003, and a preschool special education teacher from 2003 to 2006. Ms. Solorzano has two adult children with severe hearing loss who have cochlear implants. Ms. Solorzano has been providing AVT to Student from July 2010 through the present. 58. District’s witness, Patricia Tate, was an Early Start Teacher for the San Bernardino County Schools from 1980 through 2010. She received a lifetime Standard Teaching Credential in deaf and severely hard-of-hearing in 1983. Ms. Tate has extensive experience providing therapy to deaf and hard-of hearing children. She has directly provided services, first AVT and, more recently, DHH, to Student since Student was two months old. She presently works for the nonpublic agency Sunny Days, which the District contracted with to provide DHH services for Student. 59. Both Ms. Solorzano and Ms. Tate attended the May 21, 2012 IEP meeting for Student. A summation of their testimony finds that each, in their own manner, supported the goals and related services which were contained in the IEP offer as being consistent with Student’s unique needs. However, both Ms. Solorzano and Ms. Tate identified Student as being ready, as of the May 21, 2012 IEP, for full inclusion in a regular education preschool. Each witness testified that Student required peer models who were not delayed. Both Ms. Solorzano and Ms. Tate described Student as a remarkably bright little girl who manifested no overt disabilities, other than minor articulation delays. Each witness provided reliable and persuasive testimony. 60. Mother testified as witness on behalf of Student. Her grandparents were each hard-of-hearing and communicated through the use of sign language. When Student was born with profound hearing loss, Mother immediately took steps to prevent Student from growing up without oral language. Mother was introduced to Patricia Tate when Student was just two months old, and Mother has grown to rely upon Ms. Tate’s advice regarding almost every aspect of Student’s development. It was Ms. Tate who first introduced Mother to Truesdail, and was Ms. Tate who assisted Mother in obtaining AVT services provided independently from the District. Mother described that it was Ms. Tate who first recommended that Student be educated in a regular education class. 61. Mother’s decision to seek a regular education placement from the District was based, in part, upon Ms. Tate’s advice. Additionally, Mother had observed Student at RSEED, and she was concerned that RSEED included very disabled pupils, who possessed academic, social and behavioral abilities which were far below Student’s ability levels. She felt that Student had very few peers in this class that she could dialogue with, or utilize to model age-appropriate articulation. 5 This particular concern was corroborated by several witnesses who had attended the May 21, 2012 IEP meeting. In fact, Ms. Steinbrunn testified that she had prevented the IEP team from discussing private school as a placement option for Student. Ms. Steinbrunn incorrectly believed that the Agreement prohibited such discussion at an IEP meeting. However, Student’s Complaint failed to include a legal issue directly pertaining to this concern. This issue will therefore not be addressed in the Decision. 63. Mother was familiar with RSEED prior to the May 21, 2012 IEP, having read a District provided hand-book entitled “RSEED, Redlands Special Education Early Development,” and having observed Student at RSEED during the 2011-2012 school year. Mother disagreed with the District’s IEP offer of placement. Notwithstanding her disagreement to the District’s offer to continue Student’s placement at RSEED, Mother failed to describe any objection to the remainder of the May 21, 2012 IEP offer. 64. Following the May 21, 2012 IEP, Mother unilaterally enrolled Student at Montessori. From August 2012 through the present, Student has attended the same Montessori school. Mother has observed Student at Montessori, and described the pupils in this class as typically developing. Student is well liked at Montessori and has made many typically developing friends. She is social, participatory, and has progressed in various academic domains. Mother provided documentation which showed she has paid $792 per month for tuition associated with Student’s attendance at Montessori. Mother described that, as of the time of the hearing, she had paid to Montessori $2,113 for costs associated with tuition. Mother presented reliable and persuasive testimony. 65. Cassandra Steinbrunn is a Coordinator of Special Services for the District. In this role, she serves at IEP meetings as the District’s representative who supervises the provision of specially designed instruction for children with exceptional needs, who is knowledgeable about the regular education curriculum, and who is knowledgeable about the availability of resources in both the District and the East Valley SELPA. Ms. Steinbrunn has 20 years of experience in the field of special education, serving as an educational specialist, teacher and coordinator of services. She testified as a witness on behalf of the District. 66. Ms. Steinbrunn served as Student’s case carrier for the 2011-2012 school year. In this capacity, she directly observed Student in RSEED, and had monitored Student’s progress through discussions with her teacher and service providers. Ms. Steinbrunn selected the District personnel who participated in the May 21, 2012 IEP meeting. She also facilitated the meeting. 67. Ms. Steinbrunn described that Student made significant progress while in RSEED during the 2011-2012 school year. She reviewed the DRDP, and described that, by the end of the school year, Student was at or above her chronological age level in each area of preacdemic readiness. She also described Student as having average to above average language skills. Student’s only area of deficit stemmed from minor articulation delays. Ms. Steinbrunn corroborated prior witness testimony that Student could have been appropriately educated in a regular education classroom for the 2012-2013 school year. In this regard, Ms. Steinbrunn characterized RSEED as a regular education classroom. 68. Ms. Steinbrunn personally designed RSEED, which she based upon observing similar classes in other school districts. Based upon these observations, she developed RSEED to include a distinct make-up of 14 IEP students; seven pupils with serious cognitive delays who receive specialized academic instruction (SAI) as a related service in their IEP’s; and, seven speech impaired students who did not receive SAI as a related service in their IEP’s. This distinction was an important factor for Ms. Steinbrunn. She believes that IEP students who do not receive SAI as a related service are considered typically developing pupils. She also described that the seven speech impaired pupils receive a curriculum which is on par with the curriculum utilized in the state preschool. In summation, it is Ms. Steinbrunn’s position that because seven RSEED pupils do not receive SAI, coupled with these pupils’ receipt of grade level curriculum, the RSEED is therefore a regular education classroom. In regard to the seven pupils with serious cognitive disabilities, Ms. Steinbrunn described that these pupils were being mainstreamed into a regular education classroom, RSEED, where they benefited from being educated with their typically developing peers (the speech impaired, IEP students.) She also described Ms. Hornal as a regular education teacher. 69. Ms. Steinbrunn has observed various Montessori schools. However, she was not directly familiar with the one attended by Student, nor has she observed Student at Montessori. She complained that Montessori utilized a non-traditional teaching modality that provided less structure and more pupil-choice driven activities than what is generally implemented in school district-based preschools. However, she was not surprised to learn that Student had progressed academically and socially while at Montessori, and she attributed Student’s success during the 2012-2013 school year to the skills taught to Student while at RSEED during the prior school year. 70. Ms. Steinbrunn described that the District did not offer Student a regular education placement through the state preschool program or Head Start, because the District was not permitted to offer these programs without approval from the county, and unless the family met other qualifying conditions, such as falling within the definition of a low-income family. 71. Ms. Steinbrunn’s characterization of RSEED was contradicted by substantial evidence. In particular, her testimony regarding Ms. Hornal’s classroom, and of Ms. Hornal, was contradicted by Ms. Hornal. These contradictions diminished the persuasive value of Ms. Steinbrunn’s testimony. 11. Second, the ALJ must determine whether “the individualized education program developed through the Act’s procedures (is) reasonably calculated to enable the child to receive educational benefit.” (Rowley, supra, at pp. 206-207.) This rule of substance is called the “educational benefit standard.” (J.L. v. Mercer Island School Dist. (9th Cir. 2010) 592 F.3d. 938, 950-951.) Here, Student has challenged the substance of the special education program offered by District in the May 21, 2012 IEP. locating classes for preschool children with disabilities in regular schools. The LRE requirements in section 612(a)(5) of the IDEA apply to all children with disabilities who are served under Part B of the IDEA, including preschool children with disabilities aged three through five, and at a State’s discretion, two-year old children who will turn three during the school year. The statutory provision on LRE does not distinguish between school-aged and preschool-aged children and therefore, applies equally to all preschool children with disabilities. Determination of Issue 1: Whether the District denied Student a FAPE by failing to consider, develop and use Student’s preferred mode of communication in Student’s May 21, 2012 IEP. 19. Student complains that RSEED utilized American Sign Language as a communication modality. Student asserts that oral communication is Student’s preferred mode of communication, not ASL. Consequently, Student argues that because the District offered RSEED for Student’s placement in the May 21, 2012 IEP, the District denied Student a FAPE for the 2012-2013 school year. 21. Student appears to base this issue upon Ms. Hornal’s use of ASL to teach the RSEED pupils various alphabet letter hand-signs. However, Ms. Hornal credibly described that she used, and taught, hand signs to RSEED on a nominal basis and consistent with a regular education-based curriculum. (Factual Findings 28.) Ms. Hornal credibly described her utilization of oral communication as the primary communication modality provided by the District in RSEED. 22. Student provided scant evidence that RSEED failed to use oral communication as the classroom’s primary communication modality. Rather, each witness who testified who was familiar with RSEED, including Student’s expert Dr. Wolgemuth, described that Ms. Hornal used oral communication as the communication modality in RSEED. (Factual Findings 54.) It is also not reasonable to believe that an experienced and highly qualified special education teacher, who is not credentialed to teach deaf and hard-ofhearing classes, and teaches a class with only one hard-of hearing pupil, would utilize ASL as a primary communication approach in this classroom. 23. Given the foregoing, Student failed to substantiate her claim that the District denied her a FAPE for the 2012-2013 school year by failing to consider, develop and use Student’s preferred mode of communication in the May 21, 2012 IEP. Issue 2: Whether the (a) services and (b) placement offered in the May 21, 2012 IEP offered Student a FAPE. 24. Student also complains that the District denied her a FAPE by failing to offer appropriate services and by offering a placement which was too restrictive. 27. In sum, Student failed to present any evidence which would substantiate her claim that the District denied her a FAPE as regards to the services offered in the May 21, 2012 IEP. 28. Student also complains that the May 21, 2012 IEP placement offer for RSEED was too restrictive. Student asserts she required placement in a regular education class. 29. The District does not dispute that Student required placement in a regular education class. In fact, District witnesses Roxanne Hornal, Amy McCormick, LaVonne Newmann, Patricia Tate, and Cassandra Steinbrunn, all confirmed that Student could be appropriately educated in a regular education classroom. (Factual Findings, 29, 37, 44, 60, and 68.) Rather, the District asserts RSEED is a regular education class. 30. Ms. Steinbrunn characterized RSEED as a regular education class. She described her belief that pupils may be considered typically developing, although they have IEPs, if that pupil does not receive SAI. (Factual Findings 68.) The District continued this characterization in its closing brief, where it mischaracterized the name of the class as “the District’s general education inclusion preschool (RSEED) which [Student] attended from December 2011 through May 2012.” (District’s closing brief, p.1, lines 16-17.) In fact, RSEED is an acronym for “Redlands Special Education Early Development.” (Factual Findings 64.) Nonetheless, the District argues that a student who does not receive SAI, and who receives grade level curriculum, is automatically considered a typically developing pupil, regardless whether he/she receives an IEP. In this vein, the District asserts that wherever that pupil is placed is a regular education classroom, regardless of the type, makeup and description of the classroom. Applying this logic, the District contends that RSEED is a regular education class and its teacher is therefore a regular education teacher. The District failed to provide any legal authority to support this line of reasoning. 31. The District’s argument fails as a factual determination. As described in District’s hand-book for the 2011-2012 school year, and as credibly described by the District’s witness Roxanne Hornal, RSEED is a special day class (SDC) preschool and not a regular education preschool. (Factual Findings 21 -31, and 64.) In fact, the District does not have regular education preschools, which is why there was a state regular education preschool available to preschool aged pupils, of qualifying family income, who reside in the District. All 14 students who attended RSEED during the 2012-2013 school year had an IEP. RSEED, as a SDC, is also dramatically different than the state, regular education preschool next door. RSEED utilized four, full time adults to educate the 14 students, plus imbedded special education services provided by an OTR and an SLP, and utilized structured, small group activities. (Factual Findings 21-31.) The state preschool had two adults to educate its 24 students, had no imbedded special education services or special education service providers, and provided less small group activities and less structure. (Factual Findings 32 -35.) Accordingly, the District’s argument is factually erroneous. 32. District’s argument also fails as a matter of law. OSEP defines a regular preschool as composed of at least a majority (50 percent) of nondisabled children who do not have IEP’s. (Legal Conclusions 17.) The District failed to provide any legal authority which stands in contravention to OSEP’s definition of a regular preschool class. Here, the RSEED class consisted of 14 students, all of whom had IEP’s. It does not matter, as asserted by the District, that SAI was not included in some of the pupils’ IEP’s. Consequently, the District’s argument fails as a matter of law. 33. Based upon Factual Findings 29, 37, 44, 49, 55, 60, and 68, it is undisputed that, as of the May 21, 2012 IEP, the LRE for Student was a regular education preschool. In accord with Legal Conclusions 13 -18 and 29 -32, the District failed to offer Student placement in the LRE, which substantively denied her a FAPE for the 2012-2013 school year. 34. Student has requested several remedies, including reimbursement for the cost of the Montessori school placement of $2,113 as of the time of the hearing, and $792 for each month following the hearing through the date of the Decision; compensatory education and services; and, orders compelling the District (1) to convene an IEP to draft appropriate goals for all areas of need, (2) to place Student in an appropriate school program, (3) provide appropriate costs for transportation, and (4) produce documents. 37. Here, Student seeks costs associated for tuition at Montessori. The District argues that Montessori did not meet all of Student’s unique needs. In fact, Ms. Hernandez, Student’s teacher at Montessori, testified that Montessori did not provide Student LSH or DHH services. (Factual Findings 48.) However, evidence also showed that Student received an academic benefit while at Montessori. Student progressed in areas related to math, geography and colors, and advanced socially, while being educated with her typically developing peers. (Factual Findings 48 and 64.) Thus, Student received an educational benefit while at Montessori. 38. Based on Legal Conclusions 28 -33, the District’s May 21, 2012 IEP denied Student a FAPE for the 2012-2013 school year by offering Student a placement which was too restrictive. As equitable compensation for this denial of FAPE, Parents are entitled to the costs of tuition associated with Student’s placement at Montessori. Student has requested $2,113 for tuition from August 2012 up to November 2012, and an additional $792 per month through the date of the Decision. This request is granted and the District shall reimburse Parents $2,113 plus $792 per month for November and December 2012, for a total compensation of $3,697. However, Student failed to substantiate that she required transportation as a special education related service. Accordingly, Student’s request for transportation costs is denied. 39. As regards to the remainder of the 2012-2013 school year, the District shall reconvene an IEP meeting within 30 days of this Decision for the purpose of offering Student a placement in the least restrictive environment. 40. Based on Legal Conclusions 23 and 27, all other claims for relief are denied. 1. Within 60 days of the date of this Decision, the District shall reimburse Parents in the amount of $3,697, for the cost of tuition associated with Student’s placement at the Montessori School from August 2012 through December 2012. 2. Within 30 days of the date of this Decision, the District shall reconvene an IEP meeting to offer Student a placement in the least restrictive environment. The decision in a special education administrative due process proceeding must indicate the extent to which each party prevailed on the issues heard and decided. (Ed. Code, § 56507, subd. (d).) Here, Student prevailed on issue 2(b). The District prevailed on issues 1 and 2(a).